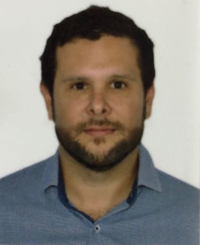 Adolfo Chaves Jiménez is an Electronic Engineer from the Costa Rica Institute of Technology with a specialization in Systems and Control from the Dutch Systems of Systems and Control. Currently, he is a PhD Promovendus from the Space Systems Engineering Chair of the Delft University of Technology, where he conducts a research about the impact of the consideration of atmospheric drag coupling between orbit and attitude relative dynamic in the performance of spacecraft formation flying dynamics estimations. Has worked in the Delfi-n3Xt satellite project as one of the ADCS engineers, was one of the lead design engineers of Project Irazú, the first Costarrican satellite. Currently he is a systems and control lecturer and the cofounder and coordinator of the Space Systems Engineering Laboratory of the School of Electronics of the Costa Rica Institute of Technology, where the operations of Project Irazú is done, and the Costarrican local coordinator for the collaborative GWSat Project, a project lead by the University George Washington, from Washington D.C.